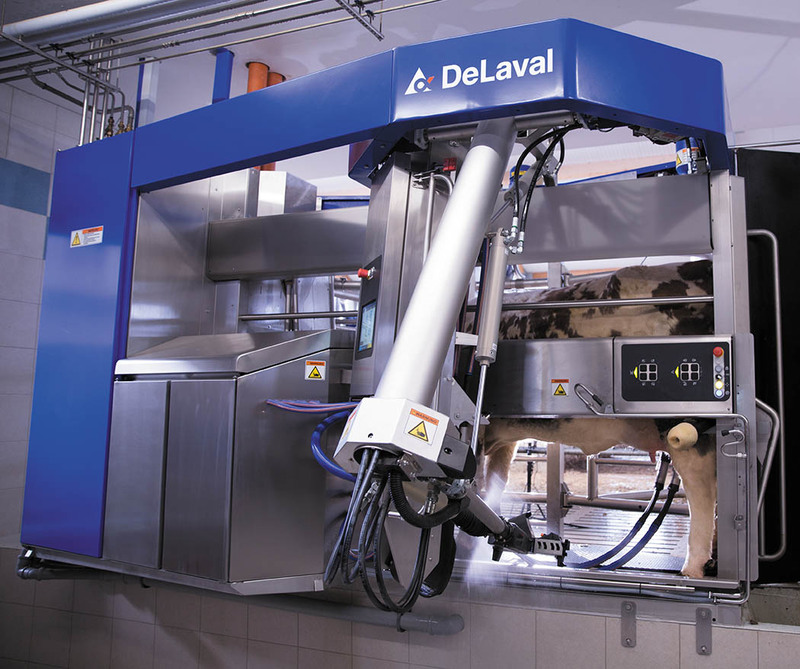 THE global launch of DeLaval’s new third-generation robotic milking system, the VMS (voluntary milking system) V300, took place in Bantega, The Netherlands. Hosted by father and son, Johan and Willem Van Den Tweel who have had VMS robots milking their 180-cow herd since 2000, updating to the newer technology and more durable design of the second generation machine in 2013. 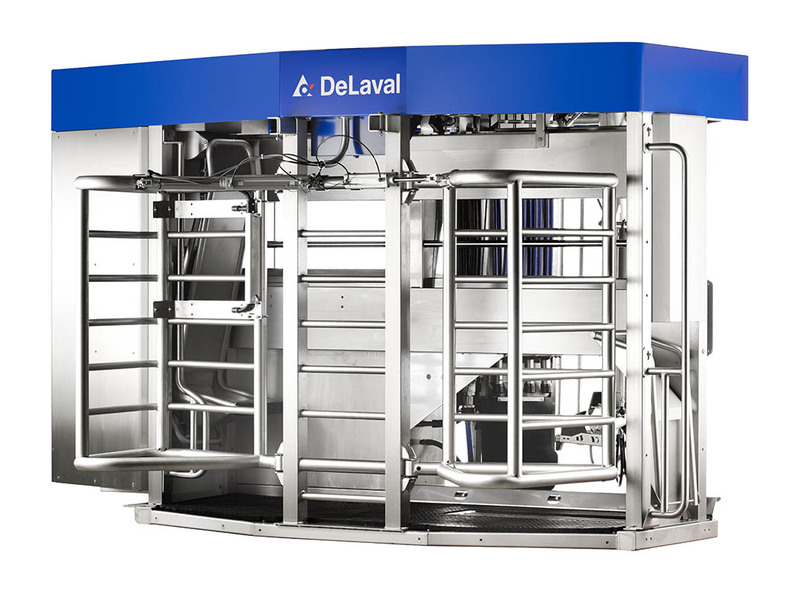 They have been using the new V300 since January, alongside three other DeLaval VMS robots on the farm, only two of which are in operation due to current Dutch phosphate restrictions. He explained that robotic systems need to work 24 hours a day, seven days a week and so they were tested extensively on real farms as well as the company’s own Hamra farm which contains a research facility as well as working commercial unit. Andre De Leeuw, market solution manager for automatic milking systems, explains that following three years of development and testing. However the V300 is compatible with sand-bedded herds. The capacity of the new V300 has increased from 3,000kg of milk per day with the previous model to 3,500kg which helps to increase throughput of cows, optimising efficiency. On average, 9.2 cows are milked per hour, which equates to almost 200 milkings per day, with some farmers reporting even higher rates than this, which is the equivalent of milking around 70 cows three times per day. Water consumption of the machine has been decreased by 18 per cent, focusing on responsible use of resources. The host farmer, Willem Van Den Tweel says: “Our experience of the new VMS is very good, it is very quick and accurate, the cows are very quiet and relaxed while milking, making the process very easy. Three new features have been included in the V300 which come as standard, InSight, PureFlow and InControl. 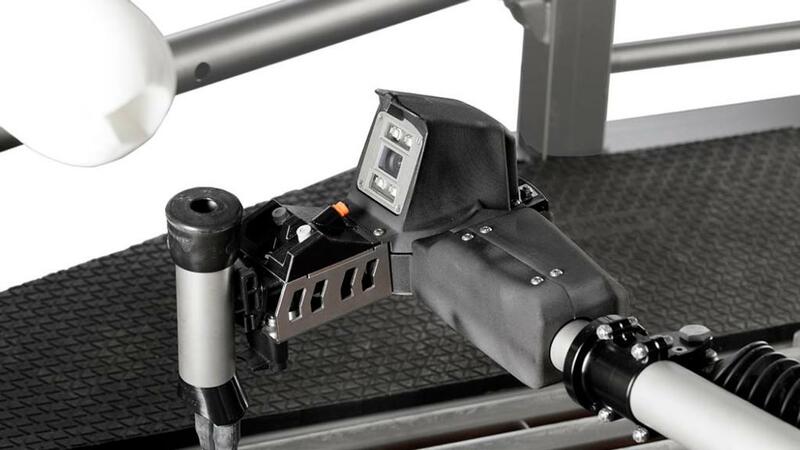 The new model boasts a smoother, faster and more accurate milking arm, complete with all new software and the highest ever quality camera which benefits from an improved position on the milking arm. The camera scans the udder and assesses the best and most accurate way to attach the teat cups. The system learns and adapts to each individual udder throughout lactation, resulting in attachment rates of 99.8 per cent, taking away the need to manually teach the machine with the entry of each new cow. Attachment of teat cups is up to 50 per cent faster which, along with other improvements, results in 10 per cent higher capacity of the machine. Mr De Leeuw says: “The InSight is able to find the teat and go really accurately to where it should be which gives the cow a completely different experience, it is relaxed and easy for the cow with no stress, which we think is really important. PureFlow teat preparation is an improved feature for DeLaval milking systems, each teat is individually cleaned and stimulated to improve milk let-down, fore-milk is removed and travels down a separate milk line into a waste milk container before the teats are dried, ready for milking. There is the option to add soaps for even more comprehensive cleaning. Better teat stimulation from the PureFlow system results in faster milking times, with 15 per cent higher milk flow due to increased stimulation. After preparation, the PureFlow system is fully flushed and cleaned before the next cow enters the VMS allowing better hygiene and avoidance of cross-contamination between cows. 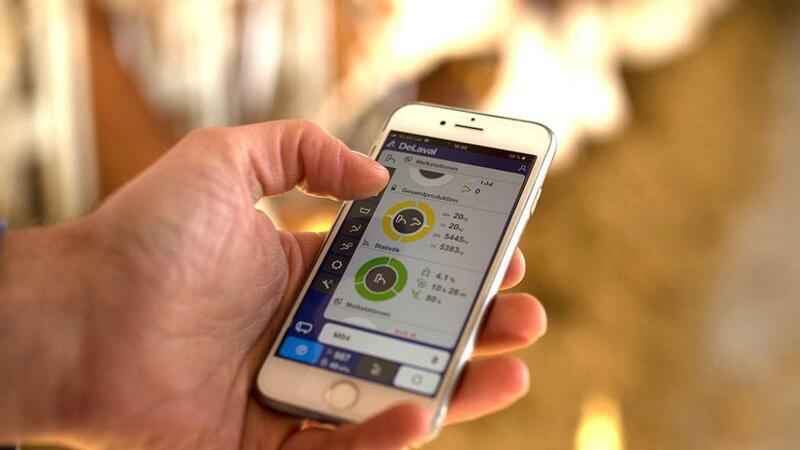 The V300 is combined with the InControl mobile app, this allows remote access to the V300 dashboard, meaning farmers can monitor and control the V300 while carrying out other tasks. The InControl app provides visual reports, analysis, and the ability to update information for individual cows as well as controlling the operation of the machine. “Things are changing, farmers are looking for more mobile devices,” says Mr De Leeuw. The OptiDuo is a new robotic feed pusher with a twin-spiralled rotating auger which allows feed to be rotated and mixed, without damaging or crushing the roughage; before being repositioned closer to the feed barrier which allows cows greater access to the refreshed feed. The machine can be programmed to work around the clock meaning that cows have access to feed 24 hours a day. This allows heifers and lower ranked cows the same opportunity to feed, with less stress and competition, as dominant cows in the herd; which in turn leads to higher intakes, resulting in more milk in the tank. The OptiDuo claims to reduce the workload for the farmer, increase feed intakes by up to 10 per cent due to increased availability, with feed being pushed up and refreshed up to 10 times per day and decrease leftover feed as a result of sorting. 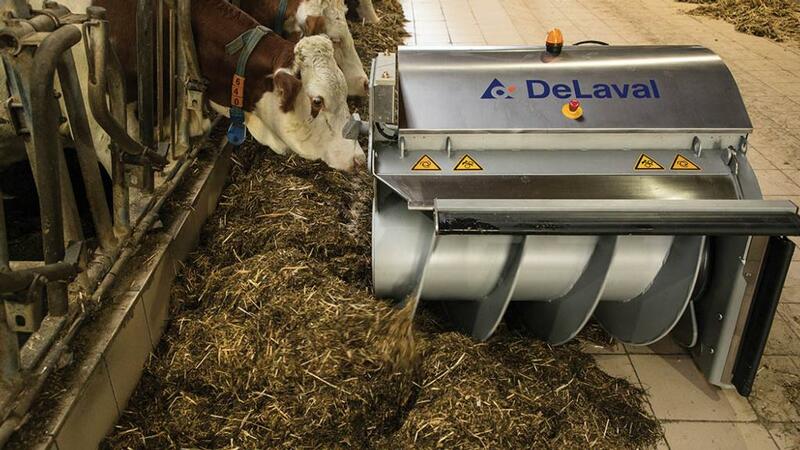 The adaptive drive function of the pusher means that it is capable of adapting to any type or weight of feed, for example TMR (total mixed ration), hay, straw or even fresh grass. 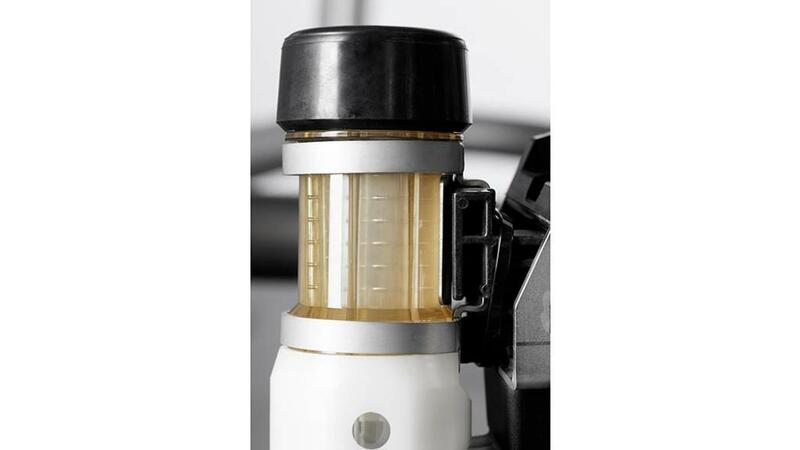 There is also capacity for mineral or concentrate which can be dispensed onto the feed during refreshing. The OptiDuo can be run on up to four different tracks around the farm, and allows for different feeding patterns throughout the year, with two induction lines, for example set at 140cm and 160cm from the feed barrier. Different settings can be made for different groups, for example lactating cow feed or youngstock feed. The OptiDuo requires at least six hours of non-stop charging per day. The auger rotates on three different wheels at each end of the axel, and there are no bearings and no chains meaning there is no requirement for oil and few parts which need replacing.